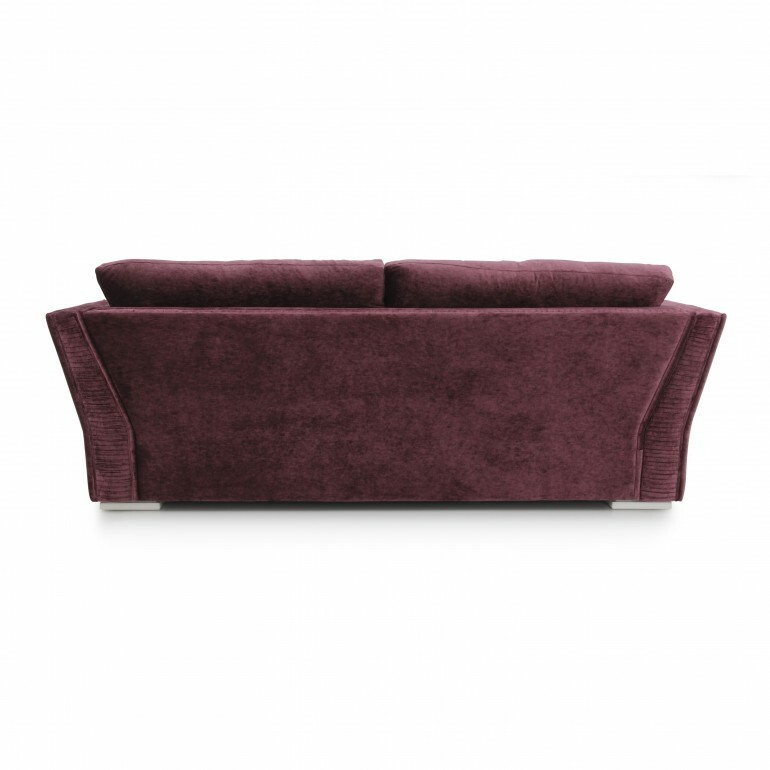 Attractive sofa with a markedly contemporary design. 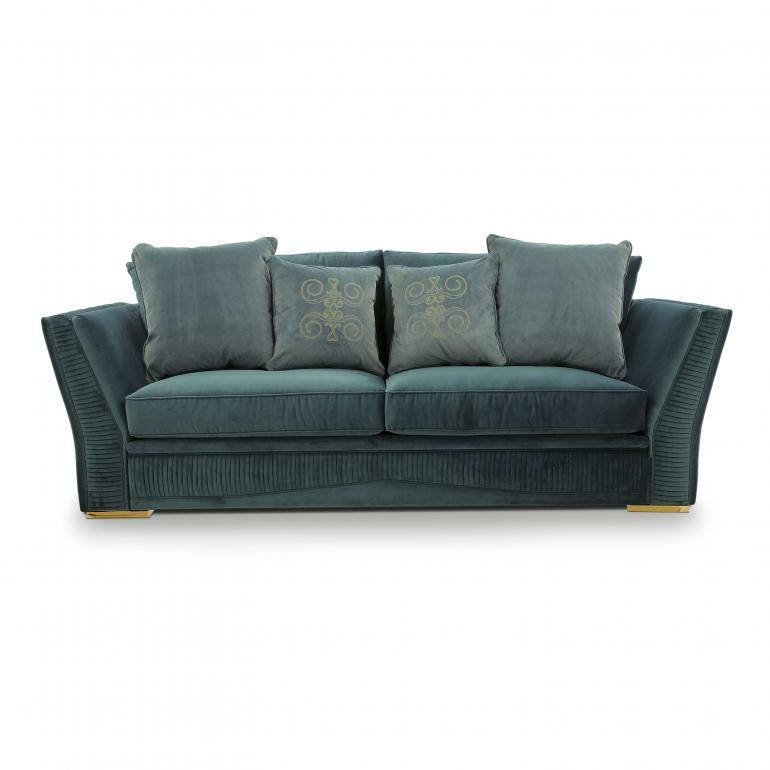 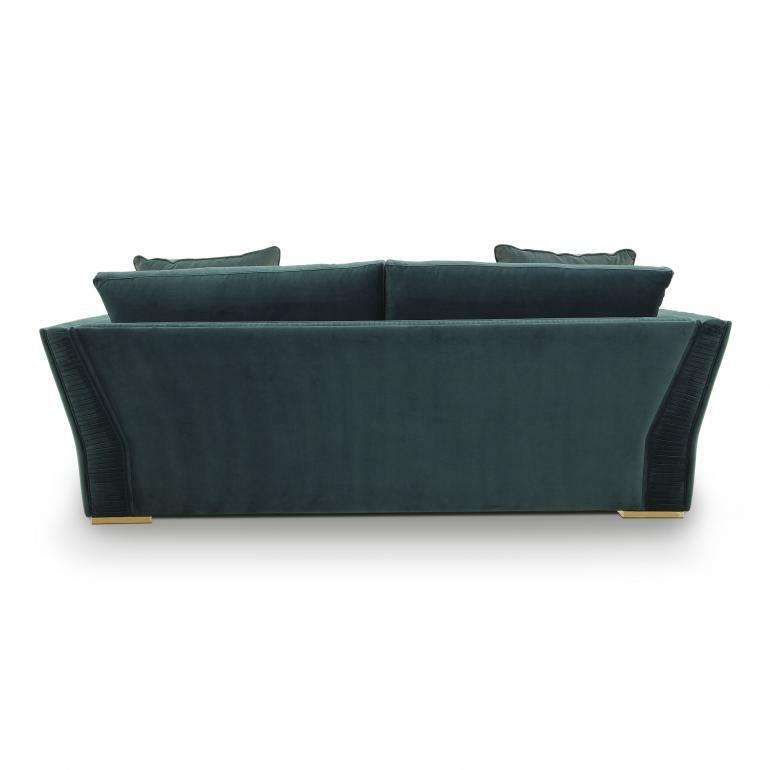 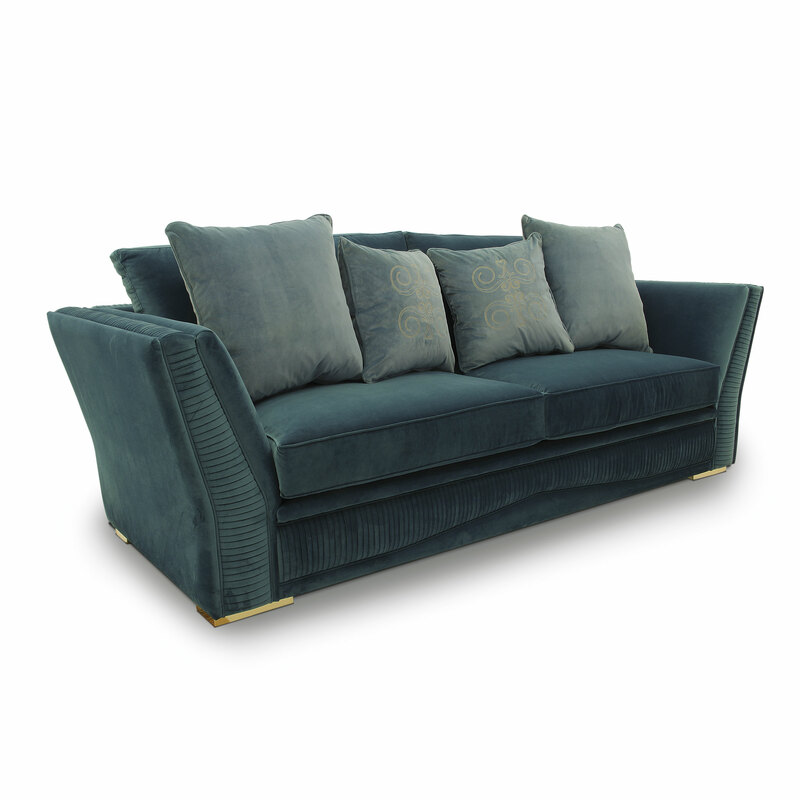 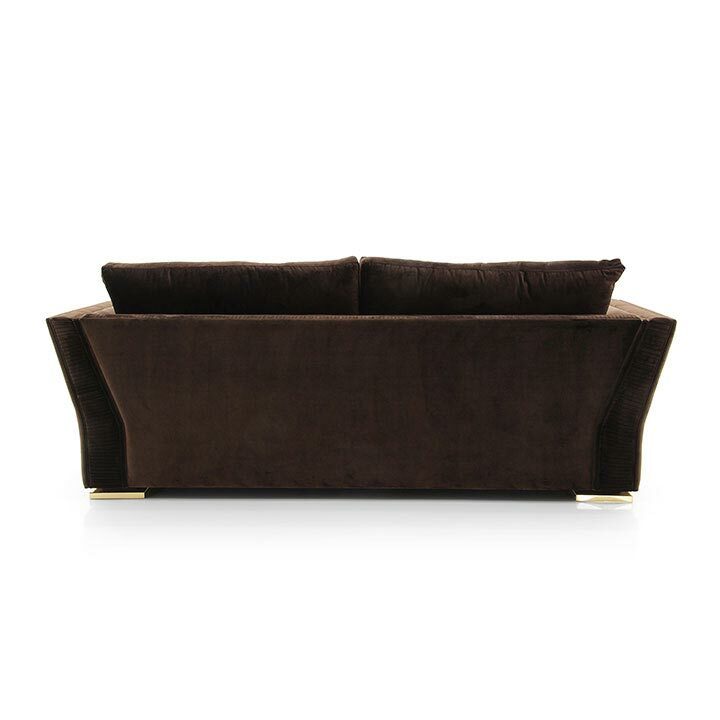 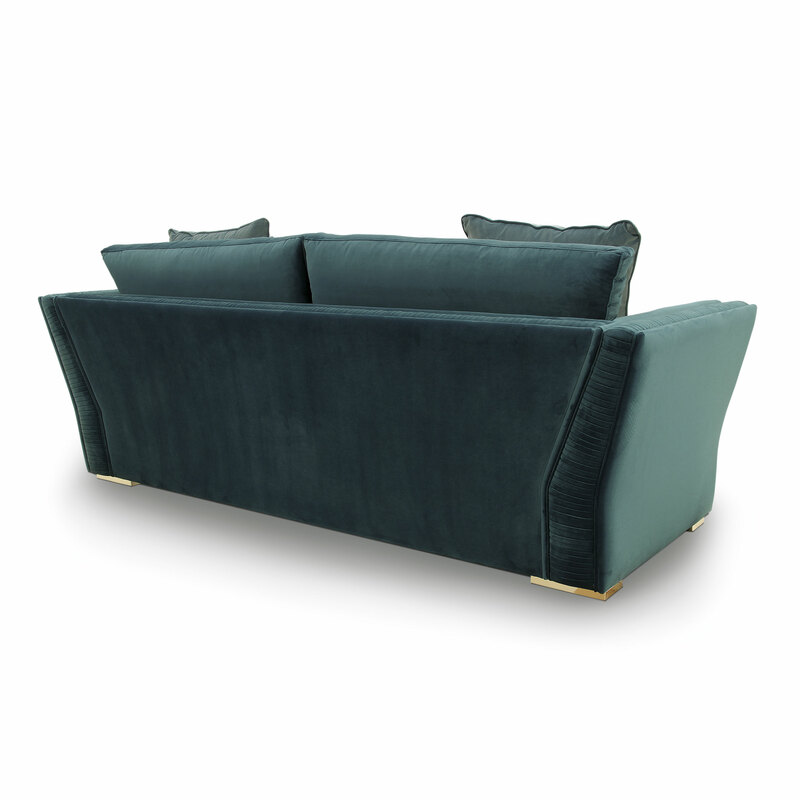 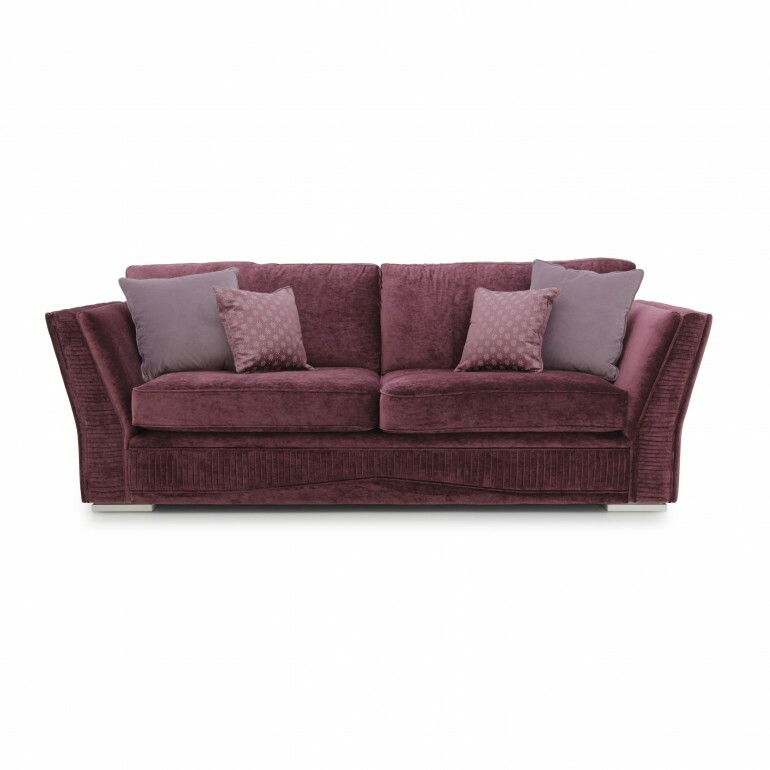 The lines of this sofa are also suitable for lounges and living rooms with a classic feel. 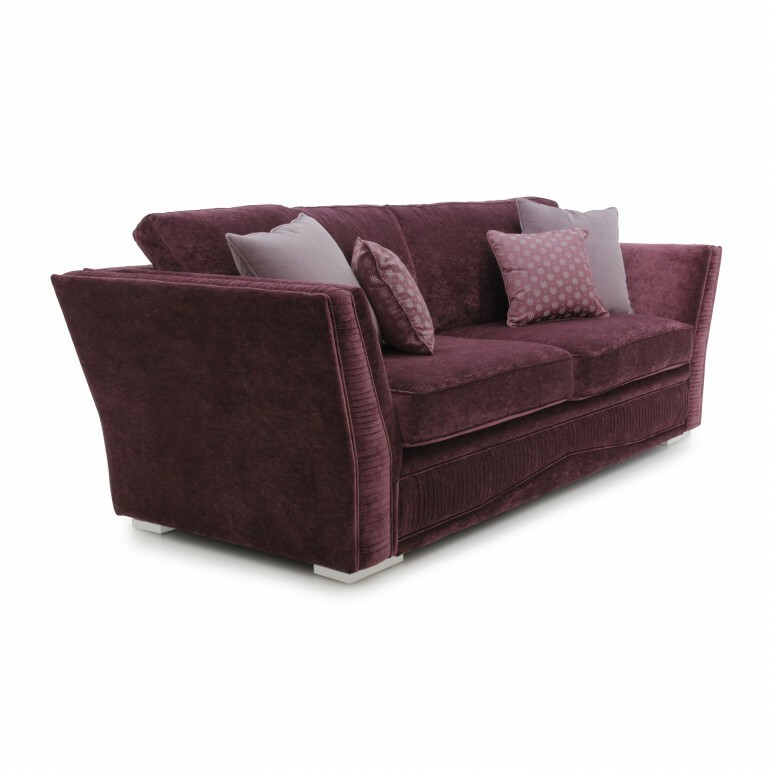 The sofa is upholstered with webbing and superior quality foam and has a comfortable padded seat cushion. 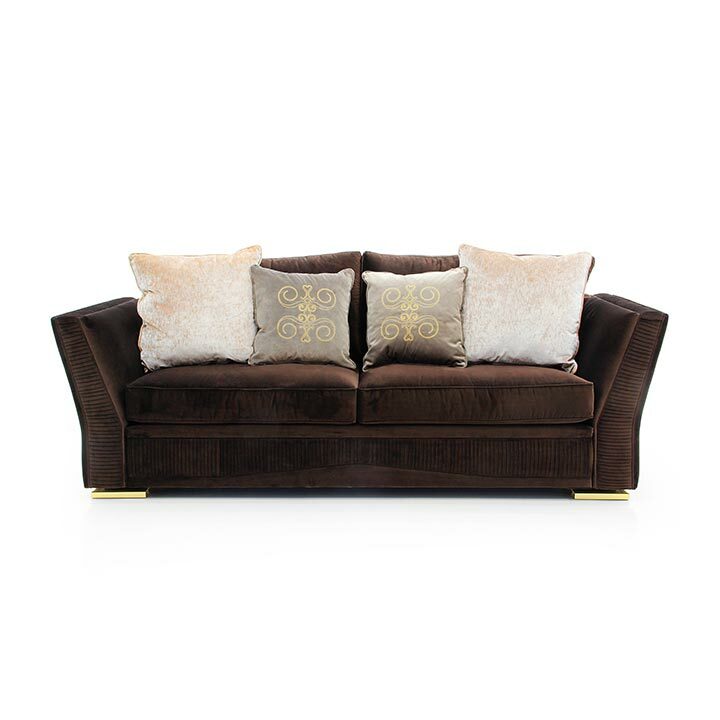 The elegant metal feet are available gold or chrome plated, or with gold or silver leaf finish.